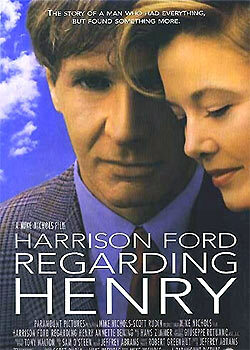 "Regarding Henry" stars Harrison Ford and Annette Bening. The Story of "Regarding henry"
Henry is a wealthy New York lawyer who is famous for being ruthless in court. He has a wife, Sarah, and a daughter, Rachel, but does not spend a lot of time with them. One day, Henry's life changes forever as he is shot in the head during a convenience store robbery. He recovers from his injuries, but has completely lost his memory. He must learn everything over again, including the names of his family. Henry slowly gets better, and spends more time with his wife and daughter. 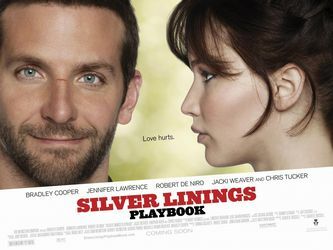 Henry learns more and more about his life, and realizes that he is a much better person now than he was before he was injured. In this scene, Henry has lost his memory, so Rachel has to remind her father that he loves eggs. Henry: No thanks, I don't like eggs. Rachel: Eggs are your favorite! Henry: Okay, then give me lots of eggs. In Photo Journal 1 Day 3, you learned the phrase "a lot of" which is very useful, because it can be used with both plural countable nouns (like books, cats, and people) and uncountable nouns (like tea, chocolate, and bread). When we are speaking very casually, like Henry is with his daughter, we often change "a lot of" to "lots of". Please note–even though it's "a lot of" and "lots of", both phrases can be used with countable plural nouns or uncountable nouns– there is no grammatical change. She has lots of friends. Bill Gates has lots of money. Did you eat a lot of spaghetti in Italy?